A lot of the greatest science fiction and fantasy books are not for newbies. They can be daunting for new readers, because they assume you've already read a lot of science fiction and fantasy. But what are the best "entry level" science fiction and fantasy books? We asked some top editors and writers, and here are their picks. Top image: Childhood's End by Arthur C. Clarke. There's been a lot of talk about the need for "entry level" science fiction and fantasy recently, spurred by writers like John Scalzi and editors like Patrick Nielsen Hayden. The great strength of science fiction and fantasy is the wealth of ideas the genre contains, and the long-running dialogue among authors, and between authors, editors, and readers. But that strength can also create a huge barrier to entry for new readers. So we asked a dozen of our favorite writers and editors to name their favorite "entry level" SF books, including Scalzi and Nielsen Hayden. Here's what they told us! From SF books published in the last ten or fifteen years, my off-the-cuff answer would be Robert Charles Wilson's Spin. The events that make this novel science fiction are so vast and inexplicable that, for quite a lot of the "story time," "science" is as much at a loss to explain them as normal people are. Ultimately there are some (well-crafted) expository lumps of astrophysics, relativity, etc., but these come along only after the entire scientific world has spent quite a few years being as baffled as a normal person would be. This gives Wilson the space to tell a story grounded in the emotional reactions of believable, present-day people to mind-boggling changes in the cosmic scheme of things, a story that can be read and enjoyed unimpeded by the need to swallow big gulps of the usual scenario-justifying science-fictional expository doubletalk. By the time small doses of dense SFnal exposition are actually necessary, even the kind of readers who are usually thrown out of a normal SF novel by the "as you know, Bob" conversation in Chapter Two are so immersed in the human drama that they take it in effortlessly. The other reason I cite Spin is that when we published it, I was startled (in a happy way) by the large number of people I heard from who enjoyed it despite not being regular SF readers at all. And it's not like it's an SF novel that reads to longtime SF readers as a "beginner's" book. It's a sophisticated piece of modern SF. But it's also a story that understands that one of the most powerful ways to describe something isn't to anatomize it and explain it, but rather to show how it makes people feel. I always recommend Ursula K. Le Guin's works for readers who think they don't like scifi. The Dispossessed and The Left Hand of Darkness are accessible, deep, and introduce genre tropes in a masterful way. Beyond those, I also find it interesting and helpful to recommend books that are not marketed as SFF: such as Margaret Atwood's dystopian novels, Ishiguro's Never Let Me Go, or David Mitchell's genre-voiced stories in Cloud Atlas. "Real" SFF fans sometimes scoff at these, but since I care only about a work's substance, not its "marketing identity," I recommend them with gusto. Mary Doria Russell's The Sparrow is a good entry for a lot of people. It has space ships and aliens and big questions but never stops being accessible. Believe it or not I just taught Ted Chiang's collection The Stories of Your Life and Others to a bunch of people, some who had read sf and some who had not and the response was overwhelmingly positive. It's just such good work. I have to admit, I dread this particular question. The books that got me hooked on genre were, a lot of them, really lousy books. Bad craft, unoriginal plots, cliched. But they hit me at the right time, and so they looked wonderful. Still, I can't recommend them, right? For someone coming in totally fresh, and they were reading for pleasure (as opposed to as a status symbol) I'd actually start with the best media tie-in books. Vonda McIntyre's novelization of Wrath of Khan and John M. Ford's The Final Reflection, for instance. They're stories that already have context for folks just coming in, and they're also genuinely decent books that then lead into McIntyre's The Moon and the Sun and Ford's The Dragon Waiting if they like them enough to follow the authors elsewhere. Or, coming in from the other direction, start them with high literature that's a lead-in to all the places it's borrowed from. Ishiguro's Never Let Me Go and Atwood's The Handmaid's Tale, then following up with McHugh's China Mountain Zhang or something by Karen Joy Fowler. Or Ted Chiang. Anything that gets people to read Ted Chiang is a kindness. And then there's Ender's Game. Yeah. Ender's Game. Here's the thing about Ender's Game. It is a deeply felt, beautifully imagined story that has spoken to a couple generations of people who found real compassion and acceptance and even the beginnings of love in this amazing, gorgeous, tragic adventure. It shows what's best about science fiction, but only if you only read the text. Card himself has gone so septic, it's poisoned the novel. So Ender's Game — but borrow it from a library or get it from a used bookstore — and don't google Orson Scott Card once you're done. I feel like, thanks to J.K. Rowling, fantasy won't have this problem in a few decades. As for SF, I'd go for Speed of Dark by Elizabeth Moon (a common choice). And given that the genre started with short stories (and they're easier to read), I turn people onto the Dangerous Visions anthology (Particularly Delany's "Aye, and Gomorrah . . . "), Kage Baker's Company short stories, and later Ted Sturgeon. My recommendation would change depending on the person's age and which genre was their favorite at the time, but for an adult who likes literary fiction, I'd suggest either of Karen Russell's collections or Crowley's Little, Big for fantasy and Delaney's Babel-17 for sci-fi. I taught last year (and will be teaching again this year) a course on Niche markets (Mystery, sf/f, horror) for NYU's Masters in Publishing course, so I actually have a real, experience-based answer! Books taught were Gone Girl by Gillian Flynn, 61 Hours by Lee Child, Joe Hill's Heart-Shaped Box, John Scalzi's Old Man's War, N.K. Jemisin's The Hundred Thousand Kingdoms, Charlayne Harris' Dead Until Dark, and George R.R. Martin's A Game of Thrones. Scalzi's Old Man's War was a perfect entry science fiction novel. Probably 12 of the 14 person class had never read SF/F before, and they all liked Old Man's War (even 1 girl who preferred cozy mysteries). The accessible, funny voice makes it perfect for new readers — they all liked it, and at least one student admitted she was then hooked on military SF. Not to toot my own horn, but part of why Kim Harrison has done so well is because Dead Witch Walking pulls readers from across genres, and ones who don't usually read SF/F. (My finance department doesn't read genre usually, but they beg for early copies of each Hollows novel.) This applies to Dead Until Dark, and the other great urban fantasies as well — being based in our world makes them much more accessible than secondary-world novels. If I could have anything, and I wanted you to fall in love ASAP without knowing any genre conventions, I'd go with Mermaid's Song by Alida Van Gorres for introductory fantasy, and Starbridge by A.C. Crispin for introductory science fiction. In the "Spaceships" category, Leviathan Wakes by James S.A. Corey is an exciting and accessible chunk of space opera, and what I can suggest for people who want lots of action and adventure. In the "near-future dystopia" category, Mira Grant's Feed fits the bill, with a reasonable scientific explanation for its zombies along with an America that is recognizable from here (although not in a happy way). In the "YA that adults can handle" category, Cory Doctorow's Little Brother is the most entertaining polemic on public surveillance you'll ever read. In the "Lots of cultural references make me feel comfortable" category, Ernie Clines' Ready Player One will make any Gen-Xer happy (it's also a little more light-hearted than everything else on the list so far). In the Put a Gear on It category, Cherie Priest's Boneshaker is a fantastic and wonderfully accessible introduction to steampunk. In the "Epic Fantasy" category, NK Jemisin's The Hundred Thousand Kingdoms is slightly more challenging for new folk but well worth it for people ready to take two steps into the field instead of one. In the "Don't condescend to me, I can take it," category, I'd give 'em Ann Leckie's Ancilliary Justice, which I think is beyond entry level, but is also state of the art for where SF is today, so if they dig this book, the field is wide open to them. I usually recommend John Scalzi's Old Man's War, or Mike Resnick's Kirinyaga. [Plus] Neil Gaiman's American Gods. If they are open to literary fiction, Ian Macdonald's River of Gods or The Dervish House. One title can't possibly do all that heavy lifting, so I'll offer a quick handful, focusing on accesible heroic fantasy: A Wizard of Earthsea by Ursula LeGuin, Imaro by Charles Saunders, The Last Unicorn by Peter S Beagle, and The Lies of Locke Lamora by Scott Lynch. I think there are two ways of looking at this question. One way is to ask what science fictional books can someone just pick up and read, and the answer turns out to be any number of them, particularly if they're labeled as being outside the genre. YA is full of science fiction novels, most notably right now of course is the The Hunger Games, but you also see plenty of people easily picking up the latest Margaret Atwood or reading Cormac McCarthy's The Road. The other way to look at the question is to ask what books from within the genre (and labeled and shelved as such), can act as ambassadors to those readers who never enter the SF/Fantasy part of the bookstore. And I'd say that the books that most easily travel outward are the ones that identify least with SF. William Gibson's Pattern Recognition is an easy place to start trying to rope people in. 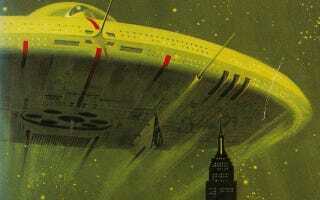 In both cases, though, I think that the barriers to reading science fiction typically have less to do with science fiction's stylings than with a story's perceived relevance to the reader. I've also had no trouble giving The Windup Girl to people who say that they "don't read science fiction," and yet they enter the story easily. But I pitch the book to them as being about corporate control of agriculture, genetically modified food, and global warming. It's not about science fiction at all—at least, in their perception. I think this cuts the core problem of SF. It's not that people can't read SF, or can't puzzle through any number of interesting sf-nal texts. It's the fact that these stories have been labelled as science fiction at all that lowers their chances of being good entry-level science fiction. Once you say "science fiction," you've fallen so far down the the stereotype hole of rocket ships and Barbarella that it's difficult to claw your way back out. Label your science fiction as a story about hacking, or a story about food and monoculture, call it a dystopia, call it an apocalypse, call it a war story, call the story anything at all other than the dreaded words "science fiction" and you've probably got a shot at connecting with your entry-level reader. Offhand, I would say Arthur C. Clarke's Childhood's End. It's one of my favorite Golden Age books because of the sociological/metaphysical questions it asks. How would people react to the knowledge that we're not alone in the universe? How would we react to aliens whose appearance triggers an atavistic reaction in us? How would we react to unlimited energy, good health, stable resources — and the sudden realization that all life as we know it will soon end? It's clearly written through the lens of a white man in the 1950s, and there's some hinkiness as a result — I recall some batshittery about white people in South Africa being persecuted post-Apartheid, and Clarke point-blank says that Jan Rodericks' blackness is irrelevant to his identity, which speaks a lot more to Clarke's white privilege than to any true progressivism on his part. 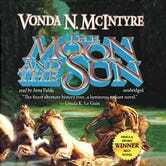 Still, the book is also one of the few examples of a black protagonist in SFF of that era who isn't a walking stereotype, and IIRC the women in the story aren't quite as peripheral and one-dimensional as they usually are in Golden Age SFF, so that's something. I haven't read it in quite a few years, but I recall that the language was plain, easily accessible, and story was told in a kind of episodic fashion that readers more familiar with televised SFF might like. Haunting ending that's stayed with me for years, too, which is the clincher of a good story as far as I'm concerned.